The Galaxy S8 and Galaxy S8+ are two amazing flagships, and, if you're an UK owner, you will like Samsung's latest high-end smartphones even more, as Samsung Pay support is now available. Samsung Pay arrives in the UK well after Android Pay, which Google introduced a year ago. But, as the saying goes, better late than never. The mobile payments service lets you "make purchases almost anywhere contactless debit cards or credit cards are accepted." "Following the launch of the Galaxy S8 and S8+ earlier this year, we are thrilled to be introducing another innovative service to our latest flagship devices, reinforcing our commitment to making people’s lives easier," says Samsung. 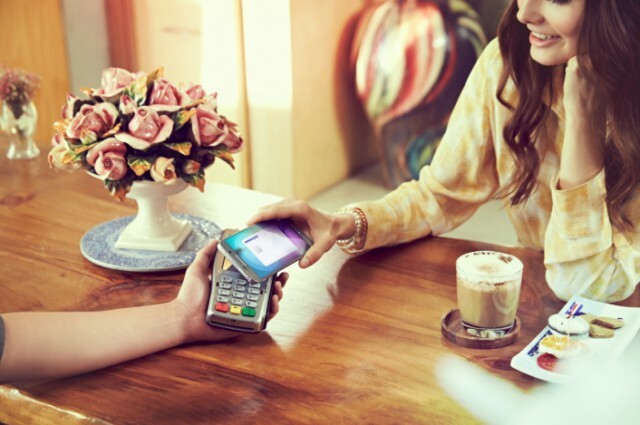 "We hope the UK launch of Samsung Pay will transform the way our customers pay for day-to-day items, giving consumers a safer, smarter mobile wallet." Samsung says that its mobile payments service works with Mastercard and Visa cards that are issued by MBNA, Nationwide and Santander, and it adds that American Express, first direct, HSBC and M&S Bank will join the list "soon." Samsung Pay users will be able to pay for trips on London buses, London Tube, TfL Rail, River Bus, and more. The list of supported devices also includes the Galaxy S7 and Galaxy S7 edge as well as the Galaxy S6 and Galaxy S6 edge. The Galaxy S6 series will be included in the Samsung Pay flock through a software update. Samsung says that more devices will be added to the list "in the coming months."